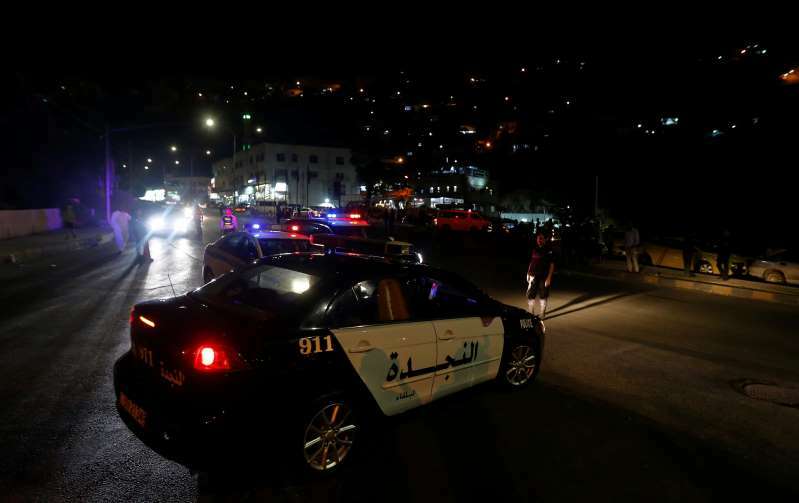 Jordanian police cars are seen one day after the security incident at the city of Al Salt, Jordan, August 11, 2018. Three members of Jordan's security forces were killed Saturday when they stormed a hideout of suspected militants that had been rigged with explosives, the government spokeswoman said. The officers had been chasing suspects in an explosion a day earlier in which a policeman was killed. Prime Minister Omar Razzaz portrayed Friday's bombing as a "terrorist attack." No group immediately took responsibility. [post_ads]Jordan is a close Western ally in a turbulent region, and has largely been spared from the conflicts in neighboring Syria and Iraq. However, the kingdom has also been targeted by Islamic militants, both domestic and foreign who have carried out a series of attacks. On Friday, a bomb was planted under a police vehicle providing security at a music festival in the town of Fuheis. The bomb exploded in an area where police usually stop during the event. On Saturday, police raided buildings west of the capital of Amman as part of the manhunt. One of the buildings had been rigged with explosives, said government spokeswoman Jumana Ghuneimat. She said three members of the security forces were killed. Ghuneimat said three suspects were arrested and searches continued for others. Several people were injured in the raid, she said. It was not immediately clear who was behind the bombings. Jordanian authorities have not provided a possible motive for the initial attack.